NEW STOCK JUST ARRIVED AND IN WONDERFUL CONDITION THROUGHOUT. FINISHED IN PURE SILVER METALLIC PAINTWORK WITH FULL BLACK LEATHER INTERIOR WITH HEATED FRONT SEATS. 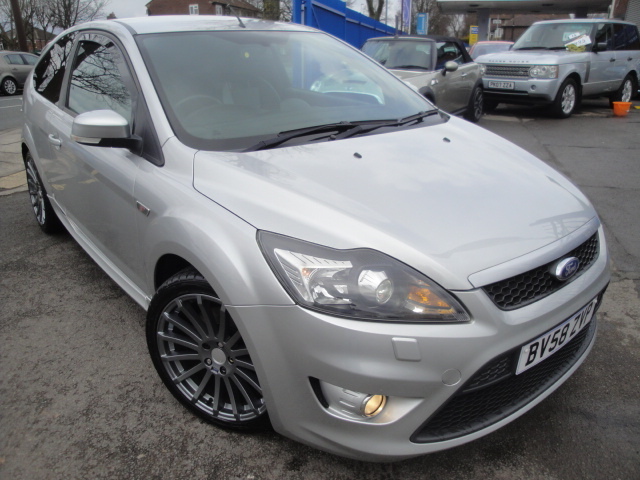 THE CAR ALSO HAS A NEARLY NEW SET OF 'RS' ALLOY WHEELS AND TYRES GIVING THIS FOCUS ST A UNIQUE LOOK. SERVICED AT 11354, 24687, 36132, 46645, 58724, 66724, 71550 AND 77504 MILES.